The Wild Forlorn: Gratulerer Med Dagen! This past weekend was a long holiday here in Norway for the National holiday. We celebrated with lots of hiking to see Lord of the Rings style landscapes and epic waterfalls. 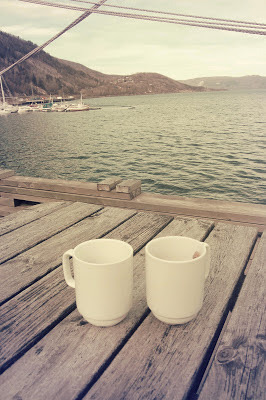 We also participated in the local parade festivites and had some lovely cups of tea in the spring sunshine by the fjord. Now it's back to work! Yummy tea by the fjord. I love the festivities and traditional dress.